Update (April 14, 6:38 am): We sincerely apologise for pulling off the article. We decided to do so as the objective of this article was to raise issues and make those reach the eyes of the concerned authority. Since the purpose was fulfilled, we thought removing the article would be the right thing to do. We were wrong. We’ve amended the article, added proper information where required and republished it. Have a good read. This article is solely based on our visit to the event on Day 1 and Day 2 and our experience. According to every promotional material containing the schedule, CobX Masters was to commence at 10:30 am on Day 1, which, unfortunately, did not happen. 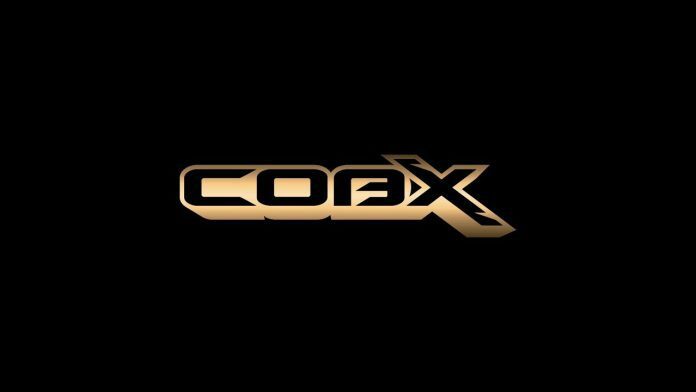 In the morning, one of CobX’s representatives told us that the event was delayed to 11 am. We reached the venue fifteen minutes past the mentioned time, only to discover that the event had not begun. It was not until 12 pm that hosts PindaPanda and Dswordfish initiated the tournament with a dash of humour, and no wonder we were thrilled to see two of the most iconic personalities of Dota 2 on the platform side-by-side engaging in a hearty discussion. 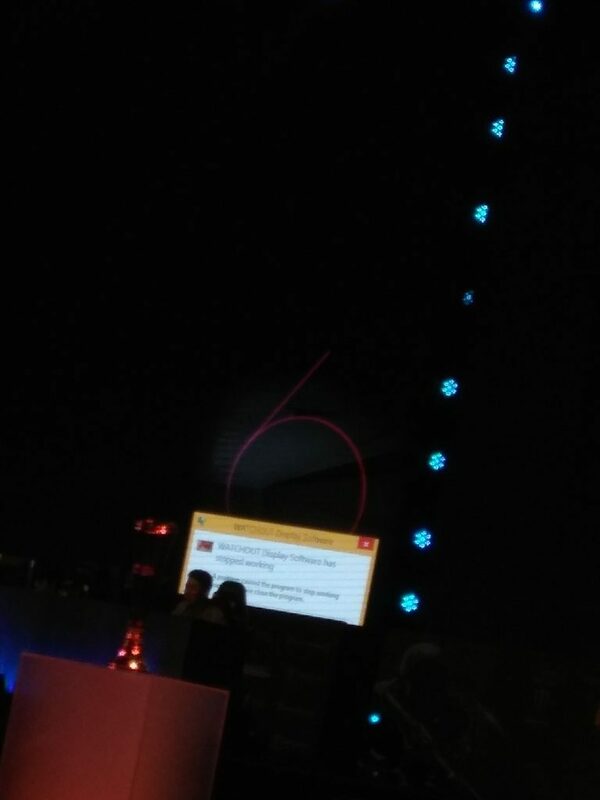 The hosts mentioned a teaser for Dota 2 prior to announcing the matches of the day. Even though it was planned to be broadcast right then, the stage-display malfunctioned three times. The anchors dealt with the embarrassing situation excellently— something that could only be identified as a major production failure which ensued for the entire session of Dota 2. 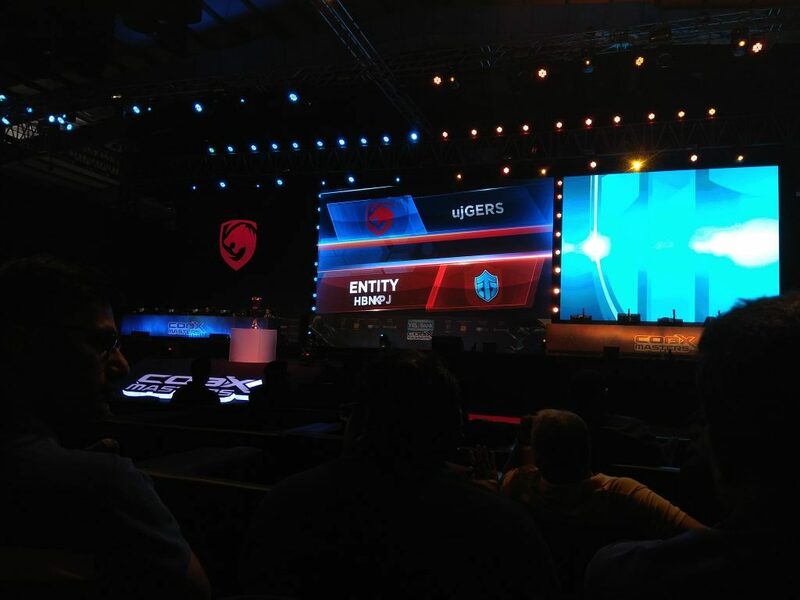 At 1:05 pm, team Tigers walked onto the stage followed by team Entity Gaming as they were greeted with cheers from the audience all around. An estimated number of 150 people may have been present to witness the first Group Stage, although it is necessary that these numbers be taken with a pinch of salt. The audience count substantially increased when CS:GO began. At 1:11 pm, Watchout Display Software started malfunctioning and the drafting phase was never broadcast. One minute later, the display screen glitched out entirely. Following that, the display errors continued to occur sometimes even conveying wrong information. At other times the sound glitched out, leaving the video feed playing on the big screen. Since the initial issues, the broadcast team did a fair amount of reruns, tests and experiments to fix them. During the process, we witnessed the screen go black and come back with stripes and checks, display software errors, a Windows 8 desktop screen a couple of times if not more. As valuable time slept away, the match that was supposed to begin way back at 11 am was nowhere to be seen. After several issues, the screen was finally fixed. The time then was 1:34 pm. To make up for the time lost on Day 1, CobX held one off-stage Dota 2 match and two on-stage CS:GO matches after the event ended. Since CobX had an agreement with the casters saying that they will only work till 10 pm, they were escorted back to the hotel. These matches were not broadcast on Sony Liv. On Day 2, however, the games started on time. The glitches were reduced considerably but they did materialise from time to time. Yes Bank was the Title Sponsor for the event with Monster Energy as the Energy Partner. Sony Liv joined as the Digital Streaming Partner. Toy Beach Club was the Hospitality Partner and Usually Unusual Entertainment, the Event Partner. One of the Yes Bank representatives we happened to meet had a very interesting perspective about the event. But, we have saved that for a separate article. From what CobX claims, the security was tightened on Day 2 and Day 3. However, according to our experience, the security was lax and inept even on Day 2. When we’d entered the premises, they didn’t bother thoroughly checking us or through our baggage. On the first day when we enquired a PR agent about the whereabouts of the managing staff, she had given us a clueless stare and said that she “could not find them”. Later when we were in the cafeteria, we had overheard one of the staff saying, “hum Monster mangne jate hai to bhikari ki tarah bhaga dete hai” (when we ask them for a can of Monster they send us away as if we were beggars). So, the in situ staff were not allowed to have Monster. No wonder this alleged rudeness on part of the Monster staff had created a dearth of cohesion that had played a negative role in staff morale. It was here that the interests of the agents dispatched by the Energy Partner and the security personnel were polarised creating an environment of discomfort and distrust. In short, enmity and animosity among the staff themselves had precipitated a conflict rising from antipathy. We were also informed that the attending media representatives would be assigned an agent to ensure that they did not harass the players or talents. In contrast, we had found the players often wandering about on their own without their personal detail, on Day 1 that is. Dendi, for instance, was constantly being hounded by fans and it shames me to write that our team was forced to ask him a few questions in the uncertainty of exclusive interviews that were promised to us before but unfortunately never honoured. Upon requesting the PR agent for the interview we were promised with Dendi before, she had replied that Dendi was “upset”. The cause for this remains unknown. More interestingly, on Day 2, we were not allowed access to the backstage in contrast to Day 1. Reportedly, other media outlets were prevented access to the backstage area as well. The “Media Lounge” sign over the dedicated room was removed. The security was strictly advised not to allow any representative to enter the wing. We were allowed to enter only upon contacting the assigned Bloomingdale PR agent regarding the same, when she led the way, past the reluctant security personnel. Later, when we demanded an answer from CobX, they claimed that some of the media representatives present at the site had continually disrespected and disobeyed the code of conduct. According to CobX, they had invaded the backstage area for interviews without asking permission from the PR agents prior to their entry. As a reason, they claimed, they had removed Media Lounge and blocked access for Day 2 and Day 3. The event was our first priority. The second was meeting those individuals and personalities who have inspired us to be at the event in the first place. 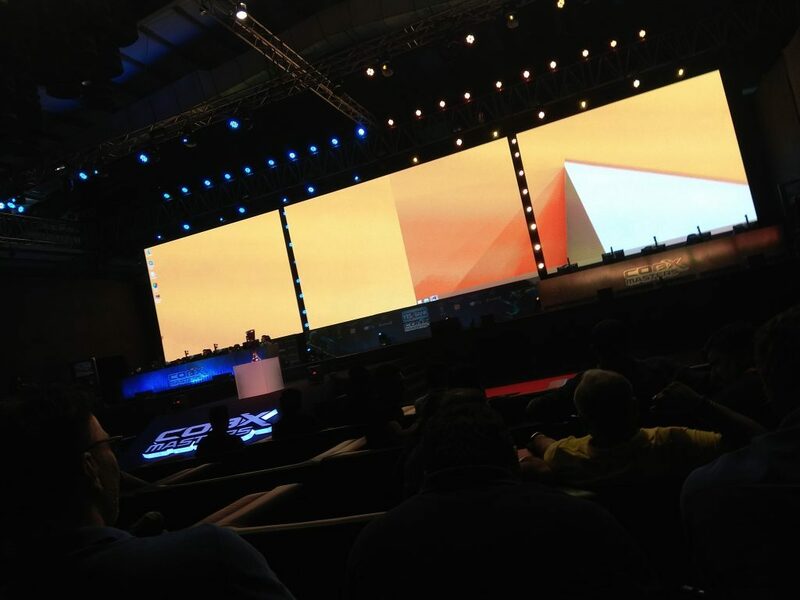 Based on accounts from people who have attended many esports events in India, the stage, entrance and the overall setup were very well organised. “This isn’t even that bad,” one jested. “We’ve seen way worse than this,” another added. Was this a sarcastic comment? Perhaps it was, but judging by what went down in the initial stages of production we are forced to doubt that. Players were provided with a separate practising area. There were exclusive areas backstage – Media Lounge, VIP Lounge, Players Lounge with access restricted to certain individuals, and also a dedicated Green Room for players and individuals appearing on stage. The Production & Control(PRC) room was located further back. If Dota 2 was a catastrophe, CS:GO was deserving of laudation. I do not know what happened but the production quality suddenly jumped expectation. From frequent screen glitches and software errors, it suddenly transitioned from worse to better, quickly adopting the cinematography and camera directions typical of the international majors. What followed the mitigated production quality was the apparent juxtaposition in the attitude and interests of the casters. Where the Dota 2 casters had at most times appeared exhausted and melancholy, the CS:GO casters appeared engrossed, energetic and had an air of confidence about them. Rest assured, we thoroughly enjoyed it. By the time we wound up, we’d concluded that the next day would have us witness less of these blunders. But our expectations were overturned and in fact, the situation was directly inverse to what we had anticipated and in many ways. Note: This part is preceding Day 2. It must be kept in mind that we did not attend Day 3 as it has been explicitly mentioned towards the end and therefore, we are not elaborating anything that went down on that day. The interviews we had been promised for months, sadly, we never were presented the opportunity to conduct. We were persistent in our questioning the PR agency and asking them for exclusive interviews but they kept stalling us, most of the time even ignoring our calls and at other times promising to inform us in a few minutes, which, never happened. When we collected our merch from the counter, the merch by the way that was given to every VIP member of the event, the staff, dispirited by the look of the contents inside questioned us if this was what we had paid Rs. 1,499 for. CobX Masters was spurious, barely cromulent. It was a live manifestation of shoddy business and what happens when the management overexaggerates a product and most importantly, reneges on promises that they made previously. There’s too much wrong with it to elaborate in one article. (I don’t know what happened on Day 3. Things might have been better, but from what we witnessed for the first two days, we were rather disappointed.) From perfidy to incompetent PR handling to ignorance to an inexpensive VIP bag containing merch of a single synthetic t-shirt, a pair of inflatable cheering balloons and a rubber wrist band, the event was a major letdown for any individual who’d spent thousands to fly from their home city in the hopes of experiencing something worthwhile. Our journey across Andheri to South Mumbai had amply recompensed us for what CobX had done. As we sat on the edge of the coast at Marine Drive watching the roads arc around the calm sea, we listened to the frothing tides bellowing underneath. Therein we heard a mystical voice, “Do not let anything disappoint and depress you. Life is full of wonders and if you look hard enough you will find satisfaction in even the most insignificant thing.” We promised not to be unnerved and to finish what we started. Previous articleFar Cry New Dawn: An Original Game Or Just A Poorly Developed Sequel?